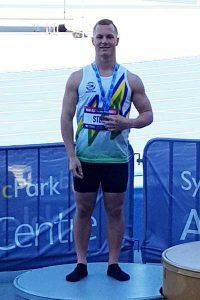 Over 1700 secondary school athletes converged on Sydney Olympic Park Athletic Centre from the 27th-30th September for the 2018 2XU NSW All Schools Track & Field Championships; the state championships for secondary school athletes. The event incorporates athletes from all sectors of the school system, including Government, Catholic and Independent, and has a long and rich history in NSW. Cameron, Luke and Callum have all now achieved ‘National Qualifiers’ for the Australian Junior Athletics Championships. Cameron has also qualified and will be competing in the Australian All Schools Championships (Friday 7 – Sunday 9 December) in Cairns, Queensland.